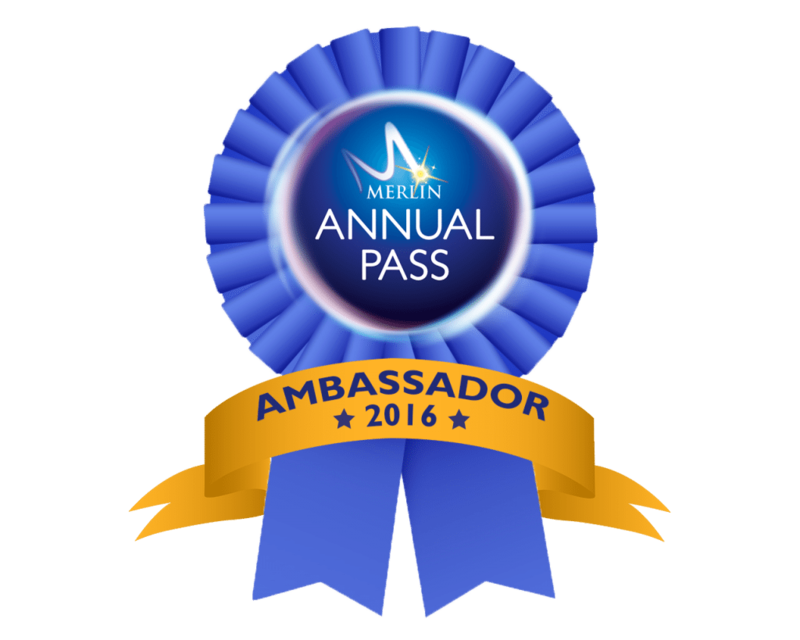 During the last year we have been blog ambassadors for Merlin Annual Pass. We received four Premium passes at the beginning of the year, and a brief to have as much fun as possible and write about it. We are lucky to live very close to Thorpe Park, so Legoland and Chessington World of Adventures are within a short drive for us. Sadly this means it is not really necessary to try out the hotel and resort accommodation on offer ( I love the idea of glamping) but it does mean that we can pop in and out in a day without any bother. 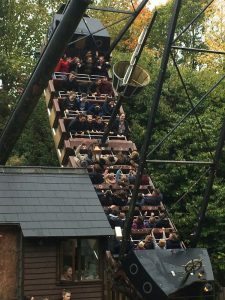 So I went with my two children, aged 13 and 11, and each of them was able to bring a friend, as the Premium Merlin Annual Passes came with several vouchers allowing us to Bring a Friend for £10. After the Vampire they went on a few more rides, then we stopped for a bite to eat in the Vampire burger bar. The food was served very quickly and we got a 20% discount with our Merlin Annual pass. The cafe was clean and there was plenty of seating. After lunch the 13 year old girls were getting a bit tired of the 11 year old boys, so we split up for a while. 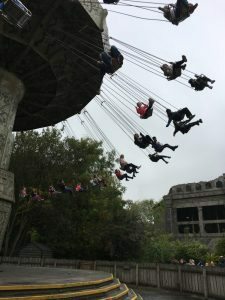 We bought a fast track ride for Dragons Fury (they cost £6 per rider but our Merlin Annual passes allowed us £5 off 1 Fasttrack ride at Chessington World of Adventures, so I paid £4 for the 4 of them). During the break I took the boys to play on some of the arcade machines and remote controlled cars as they had some money in their pockets and were keen to be rid of it. 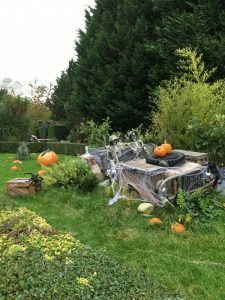 While they were doing that, I looked at some of the ‘beautiful’ decorations that had been set up especially for Halloween. So the kids went on Dragons Fury and then we went home. 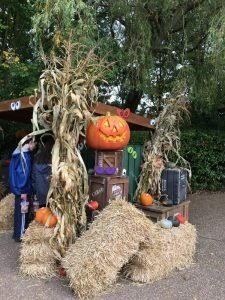 We could have stayed at Chessington World of Adventures a lot longer, but sadly some of us had other commitments later in the day. The park is open until 8pm over the Autumn half term, up to and including Halloween night 31st October. That means that you can ride some of the attractions in the dark, and they also have quite a lot of staff members dressed up in spooky costumes. There were quite a few face painters on hand too, so some of the children were also looking quite grisly as we went around the park. All in all I think that Chessington World of Adventures is an amazing place to go with all the family over October half term. It has rides and attractions for children of all ages, and lots of lovely animals, which I’m sure the younger children will enjoy seeing, even if mine were not so excited by this. 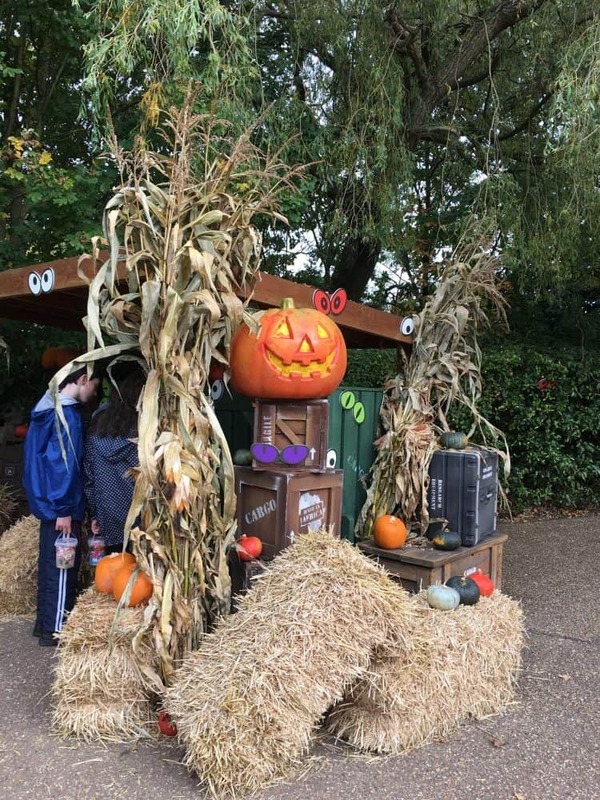 The staff are really friendly and helpful and they are really rocking the whole Halloween theme – in a fun but not too scary way. They also have discounted tickets after 4pm for people who just want to enjoy a spooky evening. We also got huge value with our Merlin Premium Annual passes on the day. We saved £3 on parking, took 2 extra children for £10 each instead of £27.60, we saved £20 on 4 Fast Pass tickets, £7 in the restaurant and £4 in the sweet shop. So all in all we made savings of £68, not to mention our own free entry. A great way to start our Merlin half term.